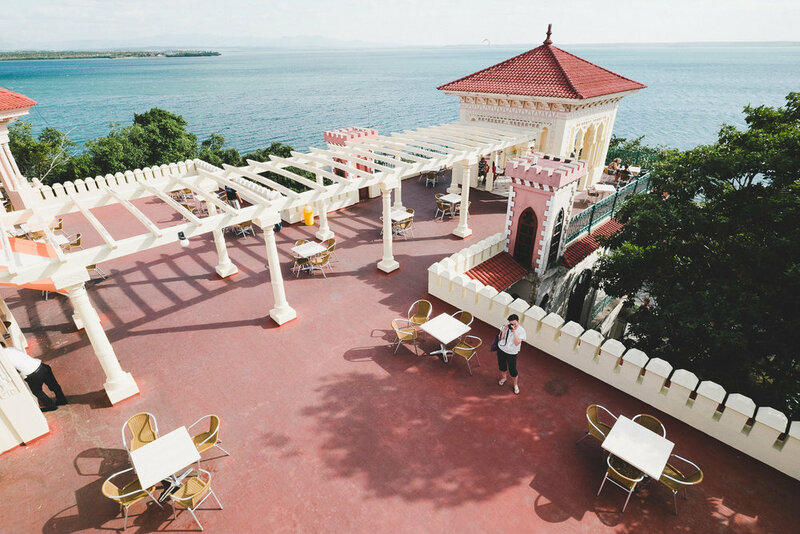 FREE DOWNLOAD: A DETAILED TRAVEL GUIDE TO CIENFUEGOS, CUBA. 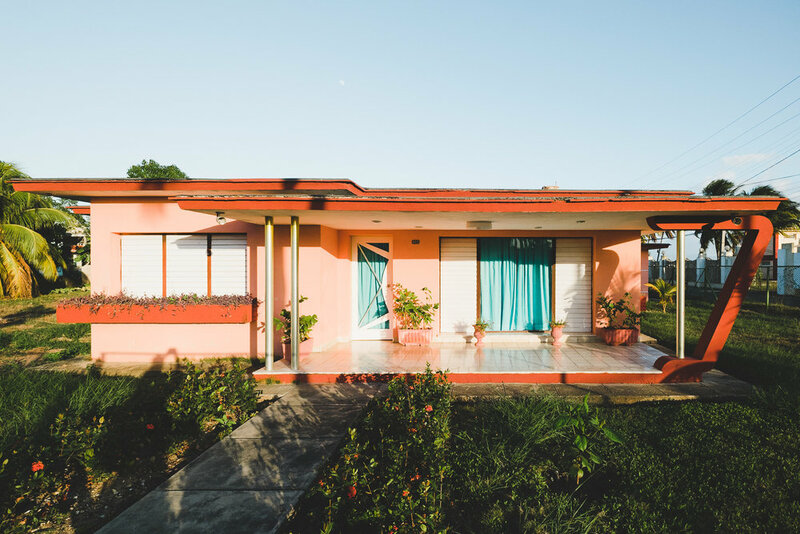 When we planned a trip to Cuba we decided to stay 3 days in Trinidad and 2 days in Cienfuegos, and now having been to both places, I wish we would have done the opposite. 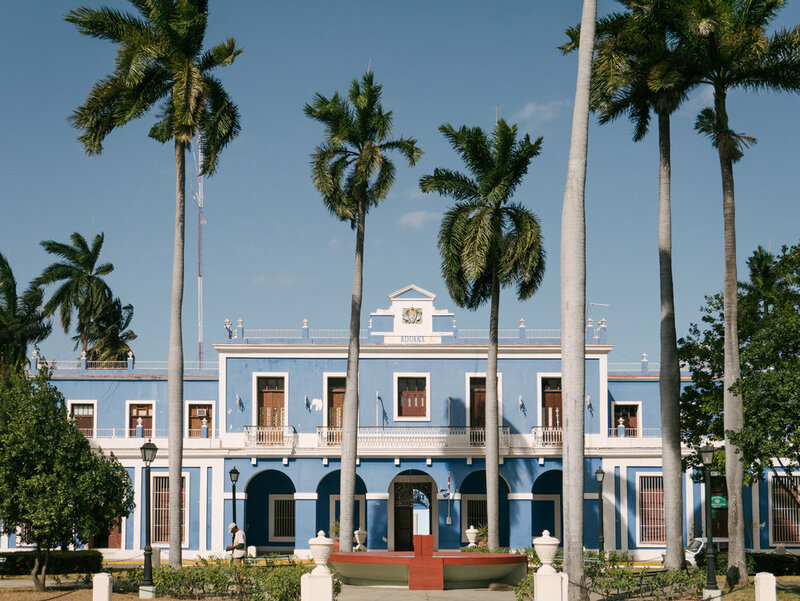 The architecture in Cienfuegos is more eclectic than in Trinidad, and the activities are more spread out across the town. 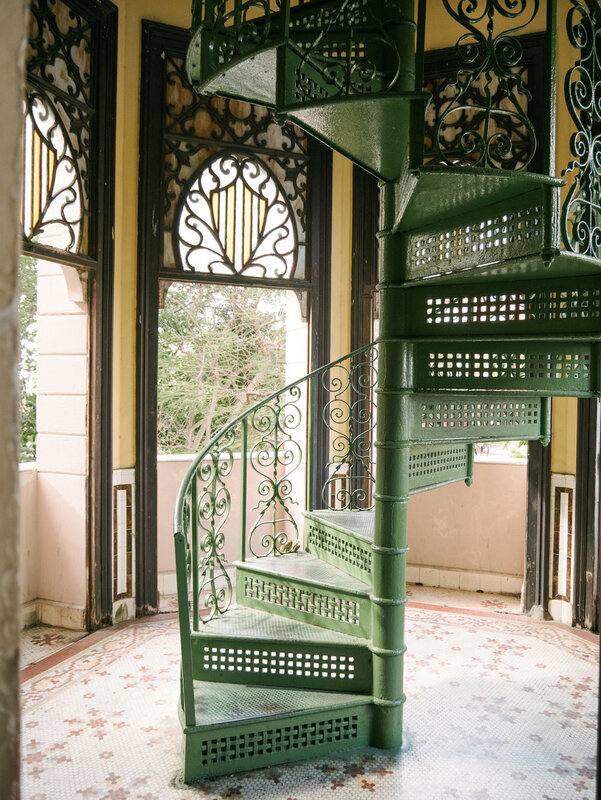 If you love architecture as much as we do, then you MUST include Cienfuegos in your trip. We've created a guide with a map, and highlighted the places we think are worth exploring, it’s free to download. Also, we included a few places that we haven’t had the opportunity to visit, due to the time constraints (again, we wish we'd have at least one more day in Cienfuegos), but we will keep it on a map for us till the next visit. A 19th-century theatre interior architecture has a horseshoe shape, with the seating plan across four levels.The portico facade has three Salviati mosa- ics depicting the muse of dance in the centre with the tragedy and the comedy on either side. A next-door coffee shop also makes a nice stop for a little break. Don’t be fooled by the lack of interior decoration on the ground floor as soon as you enter. Originally built in 1892 and remodelled in 1918, the Ferrer family briefly lived in the palace. The building continued to stay occupied by another wealthy family until the Revolu- tion. The upper floor is richly decorated with marbles in eclectic and Rococo Revival style. A what once was a Spanish Casino now a Museum dedicat- ed to the history of Cienfuegos. Located at the at the main central square Jose Marti. Somehow we missed this one, but that’s another reason for us to come back. We thought to include it in this guide, so at least you know it’s there. This building played great importance for the control of the border as the city became a trading place for sugar cane, tobacco and coffee since 1842. After the Revolution in 1959, the Customs had a remarkable change in its functions related to the tax and tariffs collection at a national level from the imported goods. This emblem- atic, neoclassical building holds so much history of the city of Cienfuegos. House of Lions, the former residence of the British Consul, today is the home of a family of cobblers. Located in the Prado, between Avenues Santa Cruz and Santa Elena, with two cast iron lions guard- ing the entrance 4 feet above the street level. The building played a crucial role in hosting many activities for the wealthy citizens and governors. 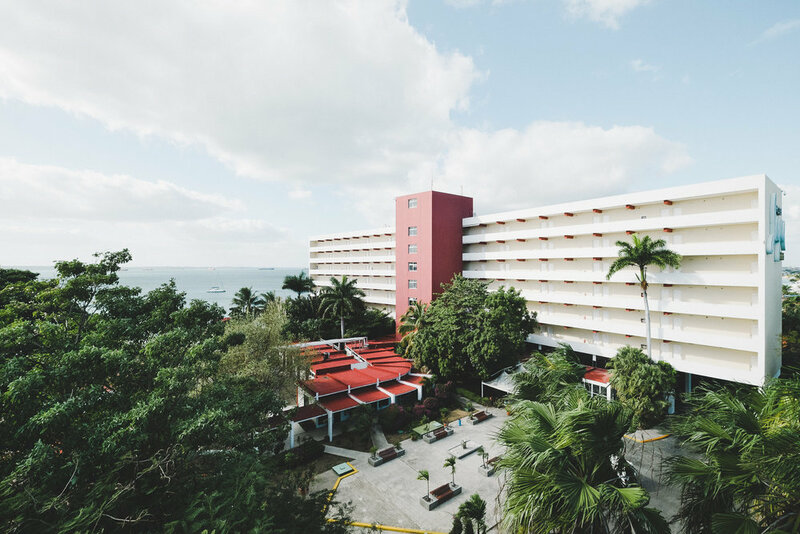 Previously known as the Yacht Club, the Neo-Baroque build- ing was renovated in 1982 and became the headquarters of the XIV Central American and Caribbean Games. The central building has a restaurant, billiard room, snack bar, terrace, gallery and sports and nautical products store. On the outside, there are areas for games, rental cars and motor- cycles, swimming pool, tennis court and the beach. The Sculpture Park is a space that exhibits thirteen sculp- tures made from various mate- rials such as steel, concrete and ceramics created by seventeen sculptors.Sculptures also used as a seating area to rest, a pretty unique collection of utilitarian art. The design of the Palacio de Valle recalls the Moorish art of Spain from the 12th and 13th centuries with Mudejar, Gothic, Romantic and Baroque influences. It owes its name to the surname of the owner and was designed by the Italian architect Alfredo Colli over a period of four years, with mate- rials of the highest quality marble and stones from Italy, ceramics from Granada and Venice, fittings from Spain, European crystals and precious wood from Cuba. For its many architectural values and styles, the Palacio de Valle is one of the attractions of the city known as the Pearl of the South, declared a World Herit- age Site by UNESCO. Current- ly, it hosts important cultural events, it has the Bodega de Valle Restaurant, specialized in seafood, a bar and the Museum. You can either stroll by the Malecón- a long promenade with the with tall palm trees which line Paseo del Prado or take a short taxi drive by the sea to the southern point of the peninsula - The Punta Gorda. 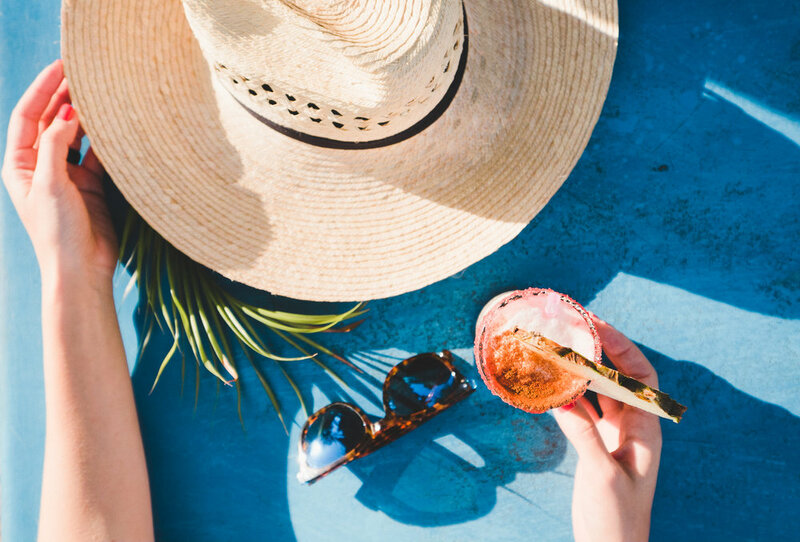 There is a great cocktail bar with the creamiest Pina Colada we've tried on the island.